Rotorua is perhaps the most famous mountain bike destination in New Zealand, and for good reason. The town has hosted many large events including the World Mountain Bike Championships and the Enduro World Series. A ground-breaking agreement has secured Rotorua as the first stop of the Crankworx World Tour for the next decade, confirming its place as one of the world’s top mountain-biking destinations. Rotorua also holds an International Mountain Bike Association ‘Gold Ride Center’ which is their highest ranking and has been hailed by Red Bull as mountain bike heaven. Rotorua is the complete package when it comes to a mountain bike destination: incredible trails and lots to do when you’re not on your bike. When you’re on your bike, there’s the Skyline Bike Park, Whakarewarewa Redwood Forest (also known as the Whaka Trails or simply “the Forest”) and Rainbow Mountain to the south of town. If you love mountain biking you will absolutely love Rotorua. The best time of the year to ride is November to April, but you can easily ride year round as it never gets too cold to ride and the tracks generally recover very quickly after rain (and it does rain in New Zealand). Your first impression of the town may be that it’s a rather busy tourist town,…. and that it’s perhaps an unlikely home for world class mountain bike trails. Rotorua is quite large and there is a distinct rotten egg smell everywhere you go due to the strong geothermal activity in the area. It takes a bit of getting used to, but the geothermal activity is also part of what makes the area so awesome. Don’t be deterred by the somewhat atypical feel in Rotorua, because it really is a mountain bike town if you settle in and stay long enough to get the true vibe. It is also worth noting that you can have multi-sport days from a Rotorua base as it’s only 1.5 hours away from super fun surf breaks and whitewater rafting and lake fishing can also be enjoyed nearby. Land access to Whakarewarewa Forest is free and courtesy of the Maori tribal land owners, Ngati Whakaue and Tuhourangi. Recreation is managed by the Rotorua Lakes Council. There is a legal right of public access for recreational activity in Whakarewarewa Forest, but land owners and forestry management go far beyond their obligations in allowing the mountain bike community to build a trail network that is one of the best in the world. RideSpots would like to acknowledge our awesome Rotorua ambassadors: Rob from Bike Culture Rotorua, who helped us create most of the must do rides as well as educated us about the land use agreements that are so unique and make all of this possible; Marcello from Mountain Bike Rotorua who helped us recommend the best places to eat and stay in town as well as much of the other information you are reading on these pages; and Brad from Mountain Bike Rotorua who guided us when we were in town and helped us to keep our stoke high. Thank you also to Mark Coker for the awesome images and Destination Rotorua for the ongoing content updates. We could not have made this page without our ambassadors’ support and recommendations. When in Rotorua make sure you say hi to these people as they will give you incredible advice if you seek more than is provided here. We recommend that you download the Trailforks app (free in the app store for iOS and Android) to access this map on your smartphone and use your phone’s GPS for on trail navigation. This app can be used offline as long as you pre-load the maps ahead of time, making it an ideal option when traveling. We also recommend that you use the Trailforks App so that you can navigate with your phone’s GPS for the ‘Must do Rides’ below. Click on the rides below for more details and to sync the rides to your Trailfoks app for on trail GPS route navigation that even works without cell service. Bike Culture is a “Core” mountain bike shop in Rotorua and is at the heart of the local mountain bike community and trail network. They are passionate about mountain biking and the continued development of Rotorua’s amazing trail network. Their shop has a relaxed feel where you can come hang out on the sofa with your take away coffee from the local cafe, Zippys, talk bikes and trails and get advice on which trails are running sweet and where to find the best craft beers. Home to Rotorua MTB clothing company, NZO, this full service shop is a must visit. An excellent selection of the latest bikes from Specialized. Sales, Service, Specialized, and heaps of stoke are available from the crew at Cycle zone. With a full range of Giant hardtails, trail bikes, and DH bikes, they can get you sorted for a day or a week on some of the worlds best trails. An excellent selection of the latest bikes from Specialized. From beginner to enduro ripper, a local guide/coach can give you tips to improve your ride game and Mountain Bike Rotorua can get you to where you want to be. Let’s Ride can help you find your riding potential. The better you get at riding, the more fun you’ll have. Learn to ride with more confidence, stay in control, go faster, have more fun. For all riders from beginner to advanced, for all age groups and all fitness levels. Annika Smail brings local knowledge and world cup racing experience to her lessons for all levels and disciplines of riders. Skilled and qualified, MBR’s experienced guides can put together a whole range of rides, from beginner samplers to full day shred fests. If you want lift accessed riding while in Rotorua make sure that you visit the Skyline Bike Park. This is the same location that has hosted the World Mountain Bike Championships as well as stages of the Enduro World Series. The not so secret local secret, no trip to Rotorua is complete without a trip to Zippys: fuel up for that big ride with the Big Zip breakie. Another must-do local favorite. Alex and the team make some of the best pastries and coffee anywhere. Located next to Ride Central, it would be rude to not stop in for a coffee and a scone. For cool post or pre-ride drink, check out the Revolver cold brew. Great service and a nice location down by the lakefront, delicious eggs bennie.  Funky and fun, they boast a varied selection of meals and a great mix of indoor/outdoor seating. THE place for award winning local beer, always friendly and great food in the hearth of Eat Street. Casual with a touch of class, excellent for breakfast, lunch, or dinner. Superb service and consistently excellent food, Indian Star is award winning. A local mainstay, the Fat Dog is a great place to start or end your day on the trails. Another must do local favorite. Alex and the team make some of the best pastries and coffee anywhere. Seriously good Indian food, try it “Kiwi hot” or “Hot” if you dare. Had Zippys for breakfast? 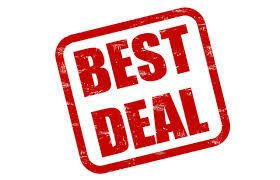 Why not try lunch or an early dinner too – a great selection of bagels sandwiches and mains. A short drive out of Rotorua, this famous cafe is sure to please any foodie, and they have a great beer selection too! A perfect place to refuel after riding the Western Okataina Trail. Always fresh and always tasty, this restaurant is a great place to relax after a day on the trails. Award winning local Croucher beer. A former police station, they boast good beer and good food. Home of the famous Okere Falls Oktoberfest, they have a great selection of German Beer, along with Kiwi favorites. A perfect place to refuel after riding the Western Okataina Trail. Peerless views and a buffet like no other, along with Volcanic Hills wines. Bring your appetite and prepare to be impressed. Upscale dining at the lakefront, heated patio, bike parking and an outdoor play area for the kids, one of Rotorua’s finest new restaurants. A varied selection of small plate offerings. Excellent, classy staff. This is a great choice to sample some eclectic Kiwi food. Halfway between the town centre and the Forest, this upscale cafe is consistently popular with visitors and locals alike. Very bike friendly and as close to the Forest as you can get. Central to town and the Forest, locally owned and operated, Rotovegas is a great choice. 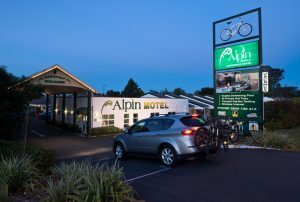 Close to the Forest and Te Puia, Holiday Inn plays host to many biking events. Located in town and close to Sulfur point. Also to trails that lead to the Forest. Classy centrally positioned accommodation with secure facilities for mountain bikers. Located near the Forest and very bike friendly. Upscale bike friendly accommodation between the Forest and town. Close to the Forest, with cabins, caravans, and tent sites. Close to town, another popular spot for car camping and tent camping. A short drive to town and a short ride from the Forest, this is one of the most beautiful and popular spots, so book early! Clean, professional, and bike friendly, the YHA Rotorua is the perfect place for a budget home away from home. Centrally located, this place is as it says, Funky, in a good way. Peerless location on Lake Tarawera, with heli access and a short boat ride from hot water beach. Boutique Bed and Breakfast located on the shores of Lake Rotorua. Beautiful luxury retreat with fine dining and a spa with a fantastic location on the lake. A consistently superb experience for those seeking 5 star lodging and culinary delights. At this location, you are practically sleeping in the Forest! A working farm with charming hosts. Perfect for those looking for something slightly different. Tent camping Kiwi style with shared cooking facilities on the shores of Tikitapu/Blue Lake for swimming and boating. The closest tent camping to the Forest. Detailed list of camping at the lakes around Rotorua. Complete list of camping options around Rotorua. A truly unique experience: a geothermal, bath temperature river with a waterfall that is just a short drive from Rotorua. Finish your ride down Kataore or Eagle vs Shark with a dip in Tikitapu/Blue Lake! Geothermal water heats these pools, sourced from the largest boiling spring on the North Island- check it out on the nature walk up stream from the pools. A short drive to swim in the clear waters of Lake Tarawera. Take a break from riding and raft the worlds tallest commercially rafted waterfall, this is a must-do. Rotorua is 1.5 hours away from fantastic surfing. We aren’t surfers, but some of you likely are. From what we understand the waves nearby are often fairly beginner/intermediate friendly. It’s very possible to have a dawn patrol surf session followed by and afternoon mountain bike ride. Why not make it a true double sport day? Rent a standup paddle board and get out on the lake. Showcasing the famous Pohutu geyser, housing the NZ Maori Arts and Crafts Institute. No trip to Rotorua is complete with a visit to this special place. Have a need for speed off the bike? Check out the zip-line at Skyline or race down the hill inches off the ground with no guard rails at the luge – serious speed and serious fun! 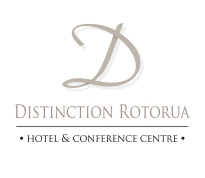 Experience an evening of Maori culture, hospitality, and food. Uniquely NZ and invented by the owners, OGO is a fun way to play with gravity off the bike – think rolling down hill in a giant inflatable ball – we recommend the wet ride for maximum giggles. Award winning zip-line experience through native forest showcasing successful local conservation efforts, this is fun for all rain or shine. With Bungy, Swoop, Schweeb, and Jet Boating, get your adrenaline fix off the mountain bike. The area around Rotorua is one of the most geothermaly active in the world. Wai O Tapu contains a variety of stunning features along walks of 30 min to 2 hours. 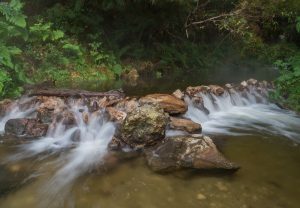 Slow the pace down a bit with this beautiful walk amongst Redwoods in NZ, unique and suitable for the whole family. (Currently Closed for Seismic Upgrades) Housed in the most photographed building in NZ, this is a great place to soak in the history of the area. Check out the observation deck and basement, along with the short movie. Family friendly and fun for all, get up close to native birds and monster trout, ride the Big Spash, and see a live kiwi chick at Kiwi encounter.